In 1978 the Northern Territory has begun to self-govern. Cyclone Tracy is a recent memory and telephones not yet a fixture on the cattle stations dominating the rugged outback. Life is hard and people are isolated. But they find ways to connect. Sybil is the matriarch of Fairvale Station, run by her husband, Joe. Their eldest son, Lachlan, was Joe's designated successor but he has left the Territory - for good. It is up to their second son, Ben, to take his brother's place. But that doesn't stop Sybil grieving the absence of her child. With her oldest friend, Rita, now living in Alice Springs and working for the Royal Flying Doctor Service, and Ben's English wife, Kate, finding it difficult to adjust to life at Fairvale, Sybil comes up with a way to give them all companionship and purpose: they all love to read, and she forms a book club. Mother-of-three Sallyanne is invited to join them. Sallyanne dreams of a life far removed from the dusty town of Katherine where she lives with her difficult husband, Mick. Completing the group is Della, who left Texas for Australia looking for adventure and work on the land. The blurb had me with ‘book club’ and ‘Thorn Birds’, however, there is so much more to this little gem of a read. 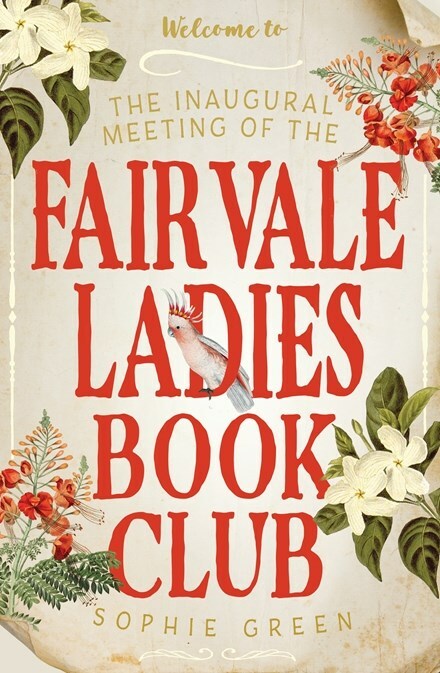 Set in the unique time and place - Northern Territory, Australia 1978 - it provides the reader with a realistic portrayal of life on the land in one of the most remote locations of a vast continent; and, how five women form a friendship that began with a love of books but evolved to so much more that saw them bond through good and bad times. ‘You like to read?’ Sybil said, stopping before they reached the table. Sallyanne nodded vigorously. ‘I love it,’ she said. ‘It’s my escape. Yes, there are some fabulous reads made mention of here and the women’s discussion of the books (not too detailed) evolves into a wider conversation of events that arise in their own lives. Books from ‘The Thorn Birds’ to ‘We of the Never Never’ to ‘Harp in the South’ bring back memories of some classic Australian literature. Add to that the list of real life dates and events that occurred at various stages throughout the telling of this tale - for example: ‘The compact disc is demonstrated in public for the first time, by Phillips’ - will bring a smile to your face as you recall what age you were at these selected occasions. Next thing to mention is the ‘Outback’ itself - the Northern Territory. The huge distances, the overpowering sense of isolation, the impact of climate and weather, concerning life on a station (ranch). Sophie Green brings all of this to life, as you can clearly envisage the array of practicalities to living so remotely, whether it concern supplies or medical emergencies. The five female leads are true and strong, each bringing their own unique story to this tale. This is a story of friendship and learning to trust over some truly difficult and challenging circumstances - accidents, illnesses, wet season inaccessibility, domestic violence, isolation - all credible and realistic situations. It’s through the bond they form that makes life that little bit easier. I'd like to track this book down! sounds delightful.